The government will spend around $154 billion on social security and welfare payments – around 35.4 per cent of total Government spending – in the 2015/16 financial year. Of this, more than $60 billion, or 39.4 per cent, will be spent on assisting the aged, a figure predicted to rise to almost $70 billion in the 2018/19 financial year. This spending will continue to increase rapidly over the coming years as more and more baby boomers enter the retirement phase. As a 25 year old, I see housing affordability to be an issue at the forefront of my generation’s mind. In previous decades, owning a home in your 20s was a more attainable dream, as house prices in relation to income made it easier for people to establish themselves in the housing market, start a family and start the wealth accumulation stage of their lives. For my generation, this dream has greatly diminished. Housing prices have spiralled out of control, especially in cities like Sydney and Melbourne. One of the main causes of this problem with housing affordability is that retirees on the aged pension don’t need to include their primary residence in the asset test. This disparity has led to many retirees living in large expensive properties, sometimes worth more than $4 million and still able to receive the aged pension. As a taxpayer funding this social security bill my question is, why is the family home left off the asset test? After all, the aged pension established in 1910 was meant to assist retirees during their retirement. It was not intended as a loophole for wealthier older Australians to hoard their wealth and leave large inheritances to adult children who should be making their own way in life. Is this a case of generational inequity? After all it is taxpayers like myself who pay for the aged pension. 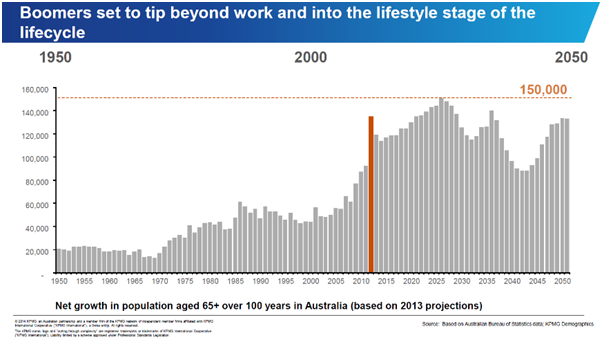 This case of generational inequity is further highlighted by the fact that 70 per cent of over-65s are on the aged pension and, in the next 15 years, the number of people in retirement will be greater than any generation before them. To fund the aged pension, the Government will have two choices as I see it; increase taxes or borrow. Neither of these choices appeals to me. I offer this solution. First,the primary residence needs to be put on the asset test. This will likely increase the market supply of family homes as retirees choose to sell, therefore softening housing prices and improving housing affordability. 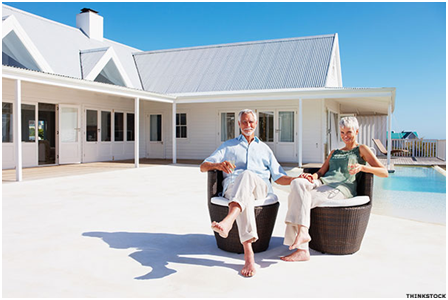 For those retirees that do not wish to downsize, they could receive payments from the equity in their home as a reverse mortgage of sorts In lieu of the aged pension they currently receive. This solution will not only free up retirees dependent on the aged pension, but will free up the pressure on my generation to pay for someone’s pension who is substantially more asset rich than we are. This equity option could similarly be used for Gen Yas an alternative to, or along with their superannuation fund. They could put the money destined for their super into buying a house and then use payments from the equity in their home as an income during retirement. This should be considered in current discussions around whether we should allow first homebuyers to have access to their super for a house deposit. It is essentially the moving of one type of retirement savings into another. Of course this will be unpalatable for some, but it is needed if we are to have the debate around retirement living standards and fairness. Having to contend with the cost of education and housing affordability, as well as paying taxes to fund someone’s pension who is much wealthier than we are, just doesn’t seem fair to me.